The Bangkok-based Asian Ecotourism Network (AEN) and Taiwan Ecotourism Association (TEA) signed a joint declaration in Chiayi recently to ensure the sustainable development of indigenous communities through ecotourism. 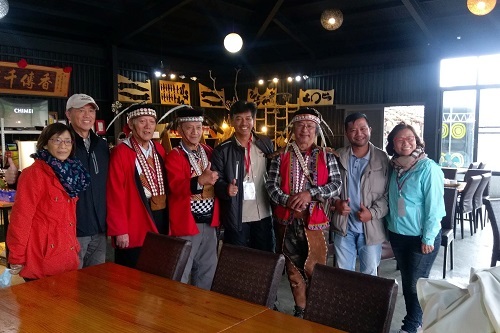 This was materialised after the AEN members’ five-day visit to central Taiwan, where the last three days were spent inspecting indigenous villages and tourism offerings in the popular Alishan mountains. The AEN delegation comprised board and ordinary members from 12 countries including Cambodia, Thailand, Hong Kong, India, Japan, Lao, Malaysia, New Zealand, Singapore and Taiwan. Speakers from these countries addressed a packed room at the inaugural AEN Taiwan Conference themed “Mountain Ecotourism and Indigenous People” held at the Chukou Visitor Centre in Alishan National Scenic Area Administration. “That was AEN’s first ecotourism conference and it was held in partnership with Taiwan Ecotourism Association. Through the discussions on mountain ecotourism with an emphasis on indigenous people, AEN jointly announced with TEA an AEN Alishan Declaration on Indigenous People,” said Masaru Takayama, AEN Chairperson. AEN members will refer to the declaration as part of the “compulsory standards” as they engage in sustainable tourism, added Mr. Takayama. “A lot of times, the nature-based activities can overlap with the ancestral land of the indigenous communities and we, AEN, find it vital to share the benefits and foster mutual respect when practising any types of tourism,” explained Mr. Takayama on the reasons for arriving at the declaration. “It has been a great opportunity for AEN to ponder upon the issues related to mountain ecotourism and indigenous people. Asia is known for its biodiversity but at the same time we also embrace diversity in human races, ethnicity, culture, etc.,” said Mr. Takayama. “We hope that other practitioners will also embrace the Declaration to ensure our assets be passed on to the generations to come,” he added. Founded in 2014, AEN is an organisation that promotes ecotourism standards for the conservation of the environment and communities within Asia Pacific. It provides training programmes and marketing events to facilitate learning and business opportunities among members. Next post Is Zimbabwe on the brink of self destruction?